A K-12 student information system (SIS) stores and tracks all student data that teachers and/or administrators need to manage their classroom or run their schools. Information such as grades and attendance records are tracked through these platforms. Many K-12 SISs give students access to the information that pertains to them. Parents also typically have access to a K-12 SIS, which is one component that differentiates these tools from a higher education SIS. Many K-12 student information systems have an SMS function that allow teachers and parents to communicate directly. This allows a teacher to keep that parent updated with their child’s social and academic progress in the classroom. A K-12 SIS can typically integrate with a learning management system (LMS) and a classroom management tool. K-12 Student Information Systems reviews by real, verified users. Find unbiased ratings on user satisfaction, features, and price based on the most reviews available anywhere. PowerSchool is the #1 leading education technology platform for K-12, serving more than 24.5 million students, 43 million parents, and 68 million users in over 70 countries around the world. We provide the industry’s first Unified Classroom experience with best-in-class, secure, and compliant online solutions, including registration and school choice, student information systems, learning management and classroom collaboration, assessment, analytics, and special education management. We empower teachers and drive student growth through innovative digital classroom capabilities, and we engage families through real-time communications across any device. Visit www.powerschool.com to learn more. Our goal is the same as yours - get the right information in front of the right people at the right time. It doesn't have to be more complicated than that. Welcome to a better SIS and ERP experience. Gradelink is the award-winning student information system you've been looking for. In use by pre-K all the way to college-level schools, Gradelink is optimized for ease-of-use, flexibility and power to handle your biggest school administration tasks. Now administrators, teachers, and parents can connect in a seamless, real-time environment that's as simple as using the web. Infinite Campus is a comprehensive, Web-based K-12 student information system (SIS) with real-time access to administration, instruction, communication, curriculum, reporting and more. 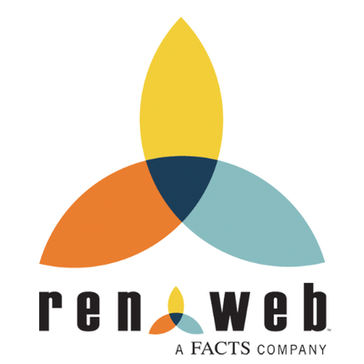 RenWeb's comprehensive, integrated solution makes RenWeb so much more than school management software. Administrator's Plus® is our cloud-based student information system with integrated web gradebook and mobile-ready student and parent portals. Administrator's Plus, TeacherPlus Gradebook and PlusPortals offer a secure, online solution for school management. Administrator’s Plus handles attendance, report cards, master schedule building, student billing, mobile apps, mass notifications, district management and more, all in one affordable, easy-to-use system. Our school management solutions also include integrated admissions management with online applications, alumni management, accounting, and staff development. We offer four decades of experience, reliability and unmatched technical support. Boardingware provides a student tracking solution for boarding and independent schools to keep track of where your students are on/off campus. The Boardingware platform provides schools with a full suite of tools to manage leave/exeat requests, check-in/out system, attendance, pastoral tracking, event planning, emergency response automation, and more. NaviGate Prepared is a secure, cloud-based platform designed to streamline developing and implementing K-12 preparedness programs while empowering staff with critical safety information at their fingertips. NaviGate Prepared is SAFETY Act Designated as an anti-terrorism-level technology by the U.S. Department of Homeland Security. Aeries Student Information System is the most widely-used SIS in California, with over 45% of all student population managed through Aeries. Our mission is to deliver industry-leading student data management system software while providing unequaled customer service and innovative solutions for K-12 education. Aeries is constantly enhanced to include new features and functionality to meet the ever-changing needs of K-12 education. We consider our relationship with our clients to be a partnership towards their students' success. Together, we work to define the goals of the initial project, create a strategic plan for implementation, and establish communication and support for ongoing success. In summary, we supply the solutions that enable you to implement Aeries, adapt it for your own unique needs, and manage your student information resources. Rethink SIS. Alma’s integrated Student Information System empowers learning communities with a modern software platform ready to take on today’s challenges and tomorrow’s opportunities. Impressively designed and easy to use, Alma provides the industry’s best student information system, including: admissions, enrollment and registration, student demographics, attendance, advanced scheduling, discipline, grades, state reporting, custom report cards, parent portal, student portal, standards-based and traditional gradebook, reporting, custom form builder and much more. One platform. Hundreds of features. Limitless insight. Ellucian SIS is a student information system designed to help business processes and improve service. Parchment is a platform designed to help schools empower learners to turn credentials into opportunities. Sycamore School is a 100% cloud-based SIS. Our 21st century pricing means you get one universal system, for one low price. No modules or add-ons. The most comprehensive system on the market, Sycamore has over 300 integrated features: a robust online admissions portal, integrated payment processing, district functionality, LMS and a FREE app for Android or iPhone. We also completely integrate with Google Apps for Education. Our support response time is measured in minutes not hours or days. Teachers love our "Chat Live with Support" feature. A Web-based beautiful application running on world's fastest distributed cloud server, auto provisions resources to take any kind of transaction load. All you need to do is click a button, and your own system is auto-provisioned. School Time is the most sophisticated yet easiest to use online School and College Management System. It disrupts the traditional installable solutions by putting the entire SIS on cloud and true SaaS. Just sign up and start using the system within 30 seconds flat. Integrated with more than 60 payment gateways, your school can start collecting online fee payments immediately. A unified communication system helps schools remain connected with all the stakeholders seamlessly. Try it without obligation today. Contact for migration from your old conventional systems. Tyler SIS™ was developed with the users' role in mind - from busy superintendents and teachers, to students and IT professionals. This web-based solution allows for easy data input of attendance, grades, family information, health concerns and all other student data, and provides real-time access to the collected information. Full integration between Tyler SIS and Tyler school products can help schools advance student achievement, identify at-risk students, deliver state and federal reports, establish parent-student-school communication to increase efficiency. eSchoolPLUS is a comprehensive student information management solution that provides powerful tools for teachers, administrators, parents, and students. TeacherEase is a software platform that helps organizations implement standards-based learning (SBL). For many educators, using standards in the classroom is a big change. They often need help and guidance to make the transition to new teaching practices. TeacherEase supports this process by providing world-class tools. The Campus Labs platform provides a centralized hub for a holistic view of your campus, so you can collect and connect your data and then explore the right questions. QuickSchools - Online Student Information System is one of the most robust yet easy-to-use SIS for schools of all sizes. From tracking student information and teacher Information to attendance, homework management, online gradebook, report cards, report creator, scheduler, parent portal, parent messaging, and more! Some of the features of QuickSchools - Student Information System are : a) Student Information Get easy access to student particulars, their grades, schedules, address, parents info, disciplinary records, extra-curricular activities, and any reports, anytime. b) Teacher Information Track your teacher's particulars, residential addresses and other data. QuickSchools is always online so your teachers can access their schedule anytime. c) Parent Access Parents can log in and view their children's information anytime through the Parent Portal. Parents can keep track of their children's attendance, workload and progress! d) Attendance Track daily attendance by homeroom, period or subject. Easy to use interface to check off your students. e) Gradebook Customized to suit your needs with one personal online gradebook for each teacher. The online gradebook feature enables teachers to enter grades frequently. f) Report Cards Report cards are fully customizable - you get to have your own grading criteria, grading flow, report card format. You can print beautiful report cards and transcripts. g) Transcripts You can create beautiful transcripts quickly and efficiently and never worry about losing them ever. It will always be safe in QuickSchools. h) Homework You can create homework assignments in seconds and share them instantly with your students. i) Scheduling You can generate the school's schedules easily. You can view schedules by student, teacher or class. You can view and print a PDF version of the schedule too. j) Admissions Manage enquiries to your school all in one place. Move enquiries to applications stage seamlessly right through the time to successfully enroll the student into the right class. k) School Fee Tracking & Managing Payments Online A simple and straightforward fee tracking module that helps you track fees effectively. l) Parent Messaging No school today? Have a message you need to communicate urgently? Send out text and recorded voice messages to parents anytime. m) Report Creator View your information exactly how you want with Report Creator. Available from the App Store and standard with the Athena plan, this feature lets you build, run, save, and share your own reports from scratch. n) State Reporting Save time and streamline your data with QuickSchools state-reporting. Formatted for your state’s needs, the State Reporting app lets you generate required reports easily. o) Sign In & SIgn Out Go green and streamline your sign-in/sign-out process at the same time with our dedicated app. p) Fundraising Connect with the community and the world to raise funds for your school with FundRabbit, an online platform to support fundraising for education. Paid Apps Available via QuickSchool's Store ~ Attendance Snapshot The Attendance Snapshot allows you to quickly and easily view the attendance status of all of your students in one place. ~ California School Immunization Record You'll be able to directly edit the California School Immunization Record (blue card) for each student. ~ Facilities Booking Select a facility, see the current booking schedule, and book an open slot. Allow all teachers to book facilities, or specify which teachers can do the booking. ~ Fileroom Upload and share files on virtual cloud drive ~ Free/Reduced Lunch Manage student free and reduced lunch eligibility information. ~ Host Family Track and manage students with host families. Manage host families based on the amount of students they can room, and manage dates the rooms are available. ~ IEP - Individualized Educational Programs (Free) Setup Individualized Educational Programs ~ Lunch Count A simple app for teachers to submit lunch count ~ Merit System Award and manage merit points for your students. ~ Online Forms You can publish your forms for any of your users - parents, teachers, students and even individual users. Supports both PDF forms and custom forms. ~ Student Activity Log Add notes for each student, based on standard labels, search notes by label, student name, note, or dates taken. ~ Teacher Attendance Track daily attendance as present or absent for your teachers in QuickSchools. ~ Test Scores / Certificates Use this app to track student test scores with their related section scores and sub-scores. It’s great for college/university entrance exams, language proficiency exams, placement tests, graduation or diploma exams, and advanced credit exams. ~ The Lunchroom Track lunch fees and payments separately from the Fee Tracking module. This app allows you to track lunch payments and orders for each student. It displays the outstanding balance for each student. ~ Calendar A simple App to display your Calendar via HTML or iFrame ~ Canvas Integration (Free) Connect QuickSchools to your school's Canvas LMS account in seconds. ~ Schoology Integration (Free) Export your students, courses and enrollments from QuickSchools into Schoology. ~ State Reporting - CA (CALPADS) - (Free) CALPADS-ready forms for collecting student & teacher demographic data. ~ Wufoo Forms Integration Put wonderful Wufoo Forms directly within QuickSchools. Collect information from teachers, parents or students. ~ Appointments A simple app to schedule and manage teacher appointments with students and others. ~ Comment Bank Comment Bank gives you the ability to create banks based on categories. Adding comments to these banks is simple. ~ Gradebook History / Versioning Keep track of Grades EVERY TIME you save your Gradebook. ~ Montessori Assessment Record when you present topics, and when students practice and master them. ~ Standards-Based Gradebook (Free) The fabulous new standards-based gradebook from QuickSchools. ~ Approve Me: Online Requests / CRM Use this module to process requests and complaints submitted by all users of your system. Track status and comments for each request individually. ~ Post Board: Online Bulletin Board An online school bulletin board where teachers, parents and students can post announcements for others to see. ~ Topica Forums An online forum where teachers, parents and students can post topics to be discussed online. BigSIS is a cloud-based, highly customizable Student Information System, providing solutions to private schools across North America, BigSIS is comprised of modules that manage everything from Admissions, Enrollments, Transcripts Narrative Report Cards, Attendance, Gradebooks, Donations, Volunteers, Aftercare and more! The best part is you get to control which modules you pay for and many of them are included for free with all our packages! Veracross is a fully integrated school information management system that connects administrators, teachers, students, and parents. Ellevation web-based software platform for ELL educators and the English Learners , educators can review a student's proficiency level, accommodations and more, and monitor current, reclassified, and exited students. We're helping students achieve success by breaking down the barriers to learning across the K-12 ecosystem. Cloud based school management & learning system that connects administrators, teachers, students, and parents. Cutting edge, easy to use, and affordable. Genius SIS is a powerful web-based student information system designed to make a school operation easier, faster and more reliable. OnCourse's mission is to provide our educational partners with intuitive cloud-based systems that inform, inspire, and connect. Our powerful K-12 applications support student management, curriculum/instruction, staff performance, and learning management (LMS). A cloud-based school management software that combines all features necessary for running a modern school in a simple, flexible, and reliable platform. Receive actionable, objective data about your district or school G Suite adoption. IO Classroom offers an array of tools to help schools break down complex student data to inform and support instruction, professional development, curriculum planning, accountability, and policy. Open-School is a versatile and affordable School/College administration software used by thousands of educational institutions worldwide for administration & management activities. We are more feature rich than an MIS (managment information system) but less complicated than an ERP. Child Care Management Software is a child management, accounting and electronic tuition software. COOLSIS student information systems accommodate everything from small elementary schools to large, multi-campus educational facilities, working with and for both charter schools and private schools in Texas and throughout the United States and even internationally. EduWave is a multilingual solution that caters to virtually every aspect of the educational cycle. It is available in two editions (K-12) and (Higher-Ed), and includes a Learning Management System (LMS), a Content Management System (CMS), an Instructional Management System (IMS), and a Student/School Information/Management System (SIS)/(SMS) all seamlessly integrated within a single solution. eSchools is an online platform that provides solutions for primary and secondary schools, including websites and management tools. SimplyAfterschool.com is an online registration management platform for after school classes that collect payments , promote classes, rosters without hassle, keep liability in check, 24/7 support and security. SpedTrack™ is a web-based suite of special education modules including: IEP, Evaluation, Goal Progress, Section 504, and Medicaid. SpedTrack integrates with all major SIS providers. Q uses state of the art technology to deliver a fast, interactive and intuitive fully web-based application experience to end-users. Q works to proactively provide information to users not just data. Aeries Emergency App is designed to provide school and district administrators easy access to the information they need through a variety of mobile devices, including the Apple and Droid devices. Ascendance provides a comprehensive enterprise-style database system for private and independent PK-12 schools. The campusSIS student information system represents over 13 years of online development bringing you the best in today's technology, helping you to get the job done. Student management is a significant part of the academic institutions role in building tomorrows leaders today ... and we are proud to play a part in that achievement for hundred's of thousands of students a day. Fedena is a multipurpose school/college management software which is used by thousands of educational institutions worldwide. FollowClass online exam portal for educational institutes. Teachers from the institute can upload questions to cloud-based question bank and then create exams for the students. GPA Network is an online service that offers an innovative and cost-effective student information system solution to managing your school. GradeCam is a professional problem solver for teachers everywhere.